I don't want a model, I don't want a movie star. 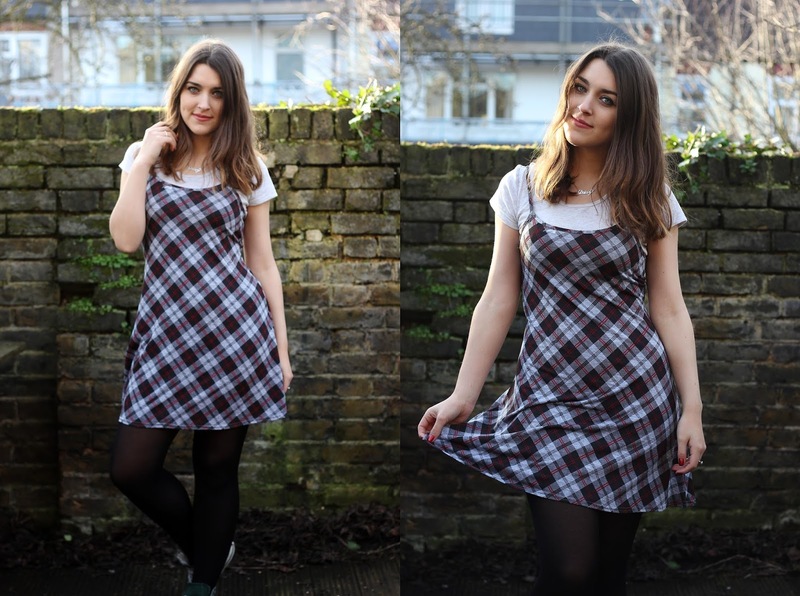 A new outfit post for you and this time I'm channeling Cher Horowitz in her PE class, Clueless has the best outfits. To see what I mean click here! I recently took a trip back home to London where I was greeted with a few days of perfect sunshine. So like the true Brit I am I decided to shoot a look with no coat, although I wasn't quite ready for the bare legs, not quite yet anyway. The day was filled with eating cake, spending time with my family and being out in the garden with my sister's rabbit, Alice. One of my favourite places to grab a cake in South London is Graveney and Meadow, I've blogged about this place before which you can check out here. If you're ever in the area this place is a must and their tapas and cocktails aren't bad either. As you may have noticed I've cut my hair, after months of debating on weather to do it or not I decided to take the chop. For any of you who may be interested I got my hair cut at Headmasters in Balham. I've been going to Headmasters salons since I was a child and this one opened in my area a few years ago so I thought I'd give it a try. I opted for one of their stand by appointments which costs £28, which I thought is pretty reasonable for a haircut in London. As much as I love my hair cut I'm unsure how to style it, I saw Claudia from Beyond Beauty Star's video and it helped but if you have any other suggestions please let me know in the comments below! P.S Would any of you being interested in me doing a list of my favourite places to visit in South London? I have a pretty long list! That dress is so cute ! I'm glad you like it too, it was so scary taking the chop!